Que es mas dulce de miel? El sueño. (What is sweeter than honey? Dreams). 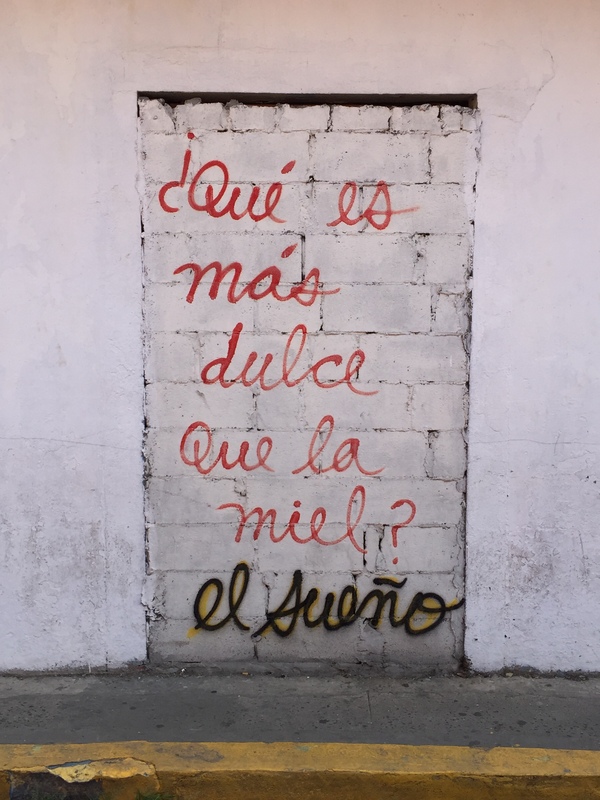 On a wall in old city Panama City.